In case you missed it, here's what we discussed in Part 1 of the series. Can an animal be my Spirit Guide? Yes and no. There are what is called Spirit Animals or Animal Totems which are guides for you. However, I feel their relationship with you is a bit different than that of a traditional Spirit Guide. You can also have Spirit Guides who are half and half. For example, Ravens are one of my Animal Totems and I have a Spirit Guide who is half man, half raven. Ravens are not only a symbol for him, but as one of my totems, I see them quite often. Depending on the circumstance or the vibration of the encounter, I have learned to determine if this is my Spirit Animal or my Spirit Guide. In this case, they overlap and it may take time for you to figure out if this is a traditional Spirit Guide or your Totem. Can my loved one in spirit be my spirit guide? No, they cannot. Why? A Spirit Guide is someone who you did not meet in this life as you planned your relationship with them, that they would be your guide, before you incarnated into this plane of existence in this life. Your grandma, grandpa, aunt, uncle, mother, father, brother, sister, or child cannot be a Spirit Guide for you in this life. This however, does not mean that they are not a guardian or look after your best and highest good on the other side. They are still there sending you love and helping you along in your journey, just not in the capacity that a Spirit Guide would. How do we choose our guides? While we are on the Other Side, before we incarnate, we gather together with our soul family to create our soul contract. At the same time we gather with these other souls, those of which may have been our mother or our friend or arch rival in another life, may say they would like to be one of our guides to help us with whatever trials and tribulations we may encounter in our next incarnation. The relationship is about learning, soul growth, and development for both parties - yours and who you choose to be your guides. This relationship is part of the evolution of the soul. In my experience, our guides are often someone whom we have had a past life with. For example, one of my guides is a daughter of mine from a past life. Don't be afraid to ask your guides why you both chose to work together and what your past relationship was! How do I meet one of my spirit guides? Meditation is the easiest way to meet and connect with your guides! There are great 'Meet your Spirit Guide' meditations on YouTube. Start putting your intention out to the Universe and your guides that you are ready to meet with, open your communication, and deepen your relationship with them. How do I communicate with my guides? Our guides communicate with us through our psychic senses (clairvoyantly, clairaudiently, clairsentiently, or claircognizantly), as well as through synchronicity and signs from the Universe. Talk to them, ask them for help with a particular issue, be patient, and listen carefully for the answer. "I've had some synchronicity happening around me lately. Is this a sign from my spirit guides?" Our guides communicate with us through the mystery of synchronicity - whether that be a song on the radio, angel numbers, animals, opportunities, people we meet, etc. 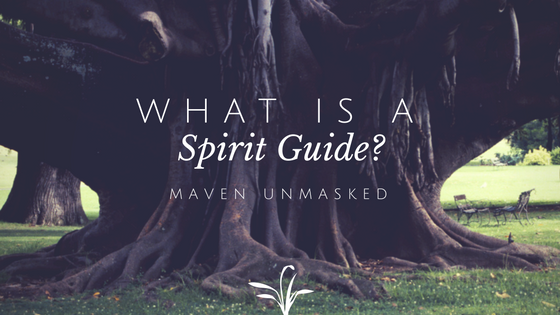 Read this blog post 7 Signs your Spirit Guides are Near if you feel they've been trying to grab your attention and for more information on how our Spirit Guides communicate with us! This is only the beginning of deepening your relationship with your Spirit Guides. How do your Spirit Guides communicate with you? Stay tuned for next week where I will share 26 Questions to Ask your Spirit Guides!